Cathy Busby - What's Going On? 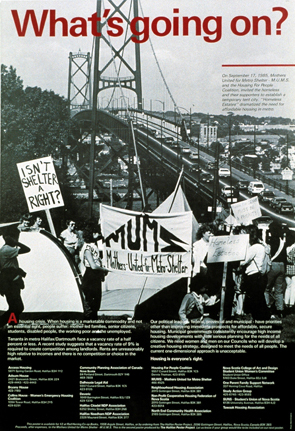 What's Going On?, Halifax Poster Project, Halifax, 1986 and 2006. This is one of three posters in the What’s Going On? 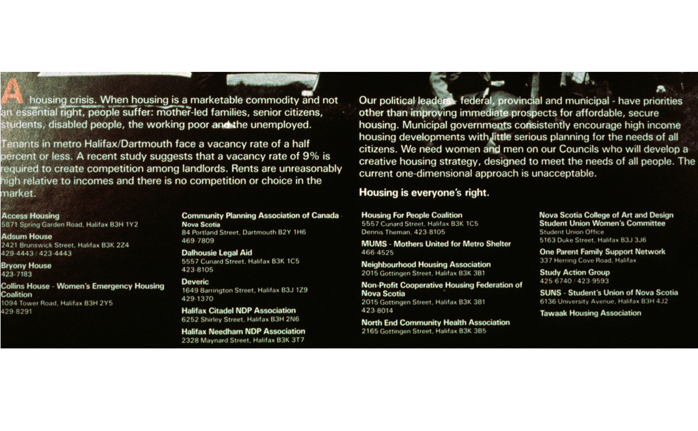 Halifax Poster Project that profiled local community activism. The Mothers United for Metro Shelter (MUMS) were demanding affordable housing. 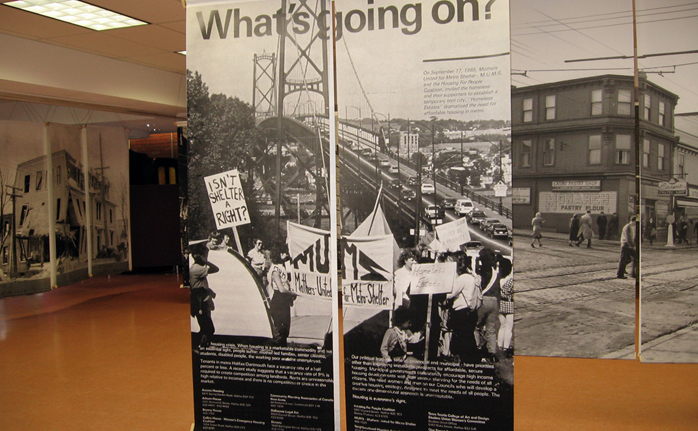 The original 15"x22" poster (1986) was enlarged for The Right Thing to Do neighbourhood history display at Halifax’s North End Library (2006).